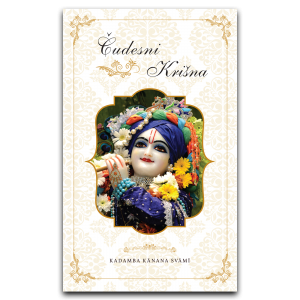 You are at:Home»Quotes & Transcripts»Gaura Nitai – Very Very Merciful! 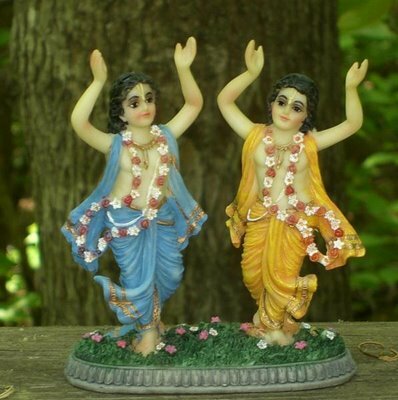 Gaura Nitai – Very Very Merciful! 30th Installation Anniversary Of Sri Sri Nitai Gaura Hari , Johannesburg South Africa 18/04/2009 HH KKS: When Govinda Maharaj took us back to Vrindavan I also started thinking about Vrindavan and what came to mind was that one very senior disciple of Srila Prabhupada who was very much involved in the Vrindavan project from the very beginning was Dhananjaya Prabhu. He was a householder. So one day Srila Prabhupada called him and said that you could start a business and as a business you could produce Deities of Sri Sri Gaura Nitai and then the book distributors they can take those Deities and as they meet nice people in their book distribution they can just give them a set of theses Deities and They can just be kept as souvenir dolls. 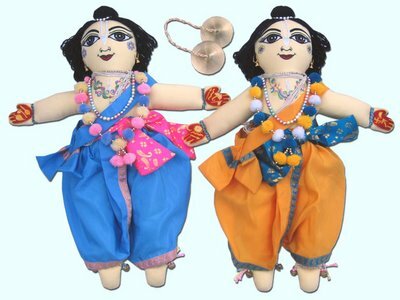 Just like from different countries they collect some dolls.So he wanted us to tell people that these were Hare Krishna dolls and they can keep them in their house and we were to tell them that if everyday they would put a little water before those dolls that would bring them luck. So what an amazing vision that Srila Prabhupada had. One may say from which scripture, where is it mentioned that the Deity can be worshipped in such a way but Srila Prabhupada had such a profound vision, such a profound understanding of the mercy of Sri Sri Gaura Nitai that he saw it like that. 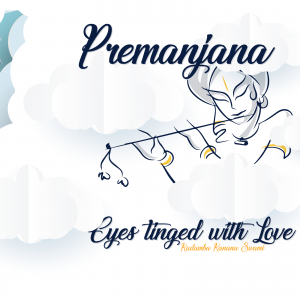 He understood it like that and only to leave us in amazement because it takes a devotee of the caliber of Srila Prabhupada so intimate to Sri Sri Gaura Nitai who is so much in direct connection with Them that he can understand Their moods. Thus he understands that it was the desire of Sri Sri Gaura Nitai, Themselves who in Their very merciful mood somehow or the other were ready to reach out to those who were not following any regulative principles at all but somehow prepared to go to their houses. 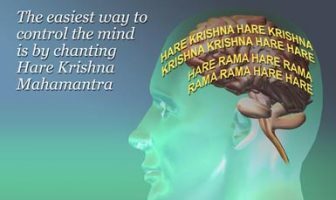 With this meditation I like to approach Sri Sri Nitai Gaura-Hari. How inconceivably great Their mercy is we can not even imagine. We thought we came to Krishna consciousness because of our own interest in spiritual life but actually simply because Gaura Nitai smiled upon the world suddenly people took interest in spiritual life Suddenly because just Their presence was there in the material world the entire population of the world began to open up to the Absolute Truth thus we cannot imagine how potent the influence is and how much the influence of Sri Sri Nitai Gaura-Hari is present in our lives. We have no idea. 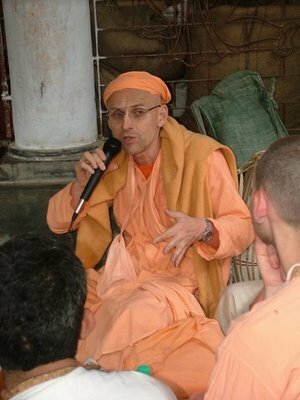 We don’t know how much the fate of Krishna consciousness here in South Africa has been steered by Them. We don’t know what invisible strings They pulled, invisible to our eyes, how many arrangements They have made, how many people They have sent for various purposes, we have no idea! . 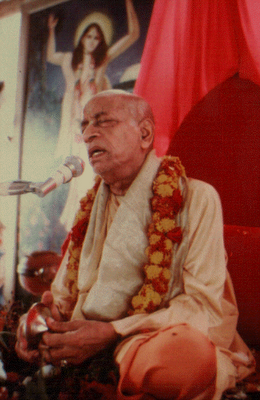 But we can understand that They did, we can very much understand that They did and thus we can all understand that somehow or the other Krishna consciousness reach us through Them. I first came only fourteen years ago for the first time to South Africa. Time goes fast. It is already fourteen years. At that time the Deities were in Hillbrow which was an amazing temple in so many ways but destiny had it that They had another plan. They had another plan! The plan of the Lord is only known to His devotees. Krishna reveals His plans through His devotees. 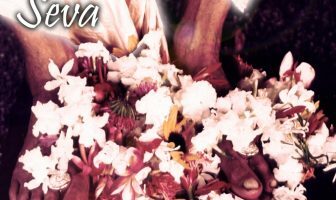 Sri Sri Nitai Gaura-Hari, Their plan maybe obscure in the way that we don’t know what arrangements They will make but Their desires are not obscure. Their desires are not at all obscure. We know very well that They have a great desire to reach out to all and everyone without consideration of their qualification or their conditioning. Somehow or the other that means that they have come for us. We should not think that Sri Sri Nitai Gaura-Hari as the deliverer of the most fallen have come for others who are very fallen and that we are so exalted that we have come as the eternal assistants of the Lord. No one should think that we have somehow or the other received that mercy. That is our good fortune and that is why we are here. 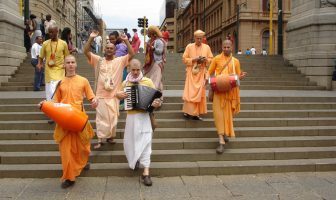 Certainly without Their presence, the presence of Sri Sri Nitai Gaura-Hari there will be not question of Krishna consciousness really having taken the proportions that it took in South Africa. What more is to unfold we don’t know, we really don’t know. Yes maybe They will move at Their own will again and again. That could be or maybe They will just stay were They are. These things are inconceivable. We are dependent on Their mercy. The occasion of Their appearance is especially blessed. It is not an ordinary festival. It is a potent time. It is a time when blessings are more present than any other time. So this is a good opportunity to pray for inspiration and strength. That is my meditation as I am here today and I pray that we may be able to do something, that we may be able to take Krishna consciousness to anyone and everyone, not just looking at those who are coming forward and already following but that we may somehow or the other find the inspiration to take Krishna consciousness to all kinds of people who are not following any standards that we may also bring Krishna consciousness to them. Because the more we try to fulfill the desires of Sri Sri Nitai Gaura-Hari, the more They will reciprocate and the more They will make miracles happen. Lord Caitanya performs many miracles in His pastimes. Very famous pastime is of course Jarikanda, the forest where He made tigers and deer’s embrace. Considering that, there are no limits, no limits in what is possible but I wish to witness some of these miracles in South Africa. Personally I am of a very impatient nature. I can’t wait! So after fourteen years I have seen something but still my desires are not fulfilled. I wish to see something very, very extraordinary if possible in this lifetime and to see that in South Africa deer’s and tigers or opposites amongst people that were totally at odds with each other will all come together and embrace in ecstasy. It is already happening to some extent and I can’t wait for the rest of the miracles of Sri Sri Nitai Gaura-Hari to unfold. 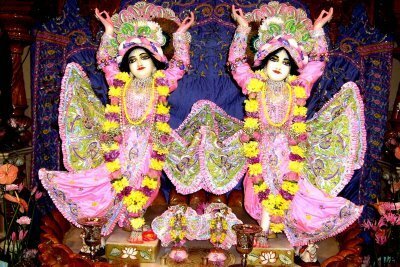 The more the devotees try to carry the message of the Lord anywhere and everywhere the more it will happen. Thus when I think of Lenasia I always see it as a preaching base. I am always thinking that this is the place where there is support. Just like the military has a base, safe place, and then we go out on missions. Partha Sarathi has told me a lot about his missions and I Think that this place is a perfect place for missions in may areas and I hope that in that way Lord Caitanya’s desires will be fulfilled. He must have a purpose why He came here.